PS Vita rhythm game due out this fall in North America. Following yesterday’s initial announcement, Acttil and PM Studios have sent out first details and screenshots for Superbeat: Xonic, its fall-due rhythm game from the creators of the DJMax series. The publishers confirm the game will launch both via retail and digitally. 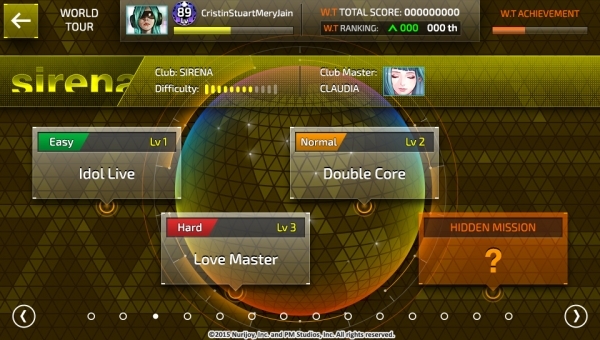 It will feature over 45 music tracks with 200 different play patterns, three different difficulty modes, a tutorial mode, local and worldwide rankings, and over 50 custom-made illustrations to accompany the music. Get the press release below. View a set of screenshots at the gallery. PM Studios and Acttil are happy to announce the co-publication of a brand new rhythm game from PM Studios’ much celebrated Beatcraft series! Superbeat: Xonic for the PlayStation Vita system will be released in North America this fall in both retail and digital formats by PM Studios and Acttil! The team at PM Studios is the creative force behind DJMax Fever, a widely acclaimed rhythm title for the PlayStation Portable system which released in the North American market in 2008. Equipped with new user interfaces and rhythms, PM Studios has crafted an even more innovative and interactive music game experience—Superbeat: Xonic will rock players’ worlds! Players will be able to experience over 45 music tracks and boogie through 200 different play patterns! Rhythm on PSVita! – PM Studios will bring you back to the beat once again with the high-speed, intuitive system found only in Superbeat: Xonic! Is the rhythm in you? Massive play pattern! – Are you ready to groove to our fantastic music selection and master the monster patterns thrown at you? Get your skills up with Free Style for endless game play! New music! – Superbeat: Xonic will feature Beatcraft-exclusive new music alongside several popular tracks- this music is guaranteed to electrify your Xonic experience! Real-time DJ ranking! – Check your ranking in real-time in both local and worldwide ranking! Ride your way to the top of the charts and become the best DJ! Music to eyes! – Enhance your DJ experience with captivating illustrations! Over 50 mesmerizing images are available throughout the game!